1947 CJ2A. Warn lockouts and overdrive. Roll bar and Bestop. Harvest Tan paint. Excellent runner and driver. Has a clean Indiana title. Asking $8500 - located in Anderson. Contact Don at 765 649-1117. 1960 M37B1 Truck. 24V system, complete engine, 1,111 miles on odometer. Cab has rust on cowl and floor under seats; bed in good shape; right front fender has dent but otherwise no rust under lights on either fender; needs all wood replaced, no canvas. Spare Chrysler engine long block, generators, and several miscellaneous accessory brackets and parts included. Mostly complete, currently does not run - a fixer-upper with lots of potential. Indiana title. Asking $2000 though prefer trade - located near Nineveh (Nashville area) in Sweetwater Lake, IN. Looking for pickup, ATV, motorcycle, tractor, backhoe, or anything with a motor on wheels. 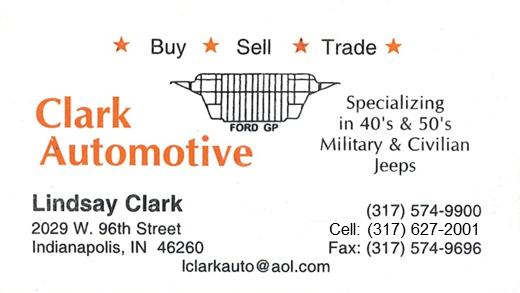 Contact Tony at 317 395-4554. 1951 M100 Trailer. Nice unit with very good tires and new canvas. Data plate says 5/51. No safety chains or wiring harness. $1400 - located in Fort Recover, OH. Contact Larry Keller 419 852-2470. M416 Trailer. Solid with no rust through on the tub. NOS lunette, safety chains, and landing leg. Data plates intact. Needs tail lights. Asking $550 - located in Anderson. Contact Don Hartzell at 765 635-0988 or tractorman at hotmail.com. 1985 M1009 CUCV. Runs and drives well at 82,000 miles, 4x4 works. Many new parts. Converted to 12 volt start and charging system. Other wise, stock truck. Body and bed are solid, rust in rockers. Asking $4000 - located in Crystal Lake, IL. Contact Mike Kryscha at mike at zingastropub.com or text/call 815 355-4395. Aircrew coat, large, nomex Woodland BDU pattern. 2ea $15 ea. OG-107 pants, both are first pattern cotton sateen. First pair are 32x31. Later style buttons on fly and pockets. Second pair are early, flat buttons. 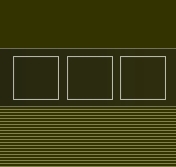 Unknown size tags are gone. $25 ea. US Army PT sweats. One sweatshirt and pants. Large. $20 for the set. All prices are OBO. Located in Fairmount. Contact Nathan Deal at nathanfmt72 at gmail.com. M100 Trailer. Canadian marked, motor pool ready with all components as the Canadian army had it. Reduced Price - Asking $1600 - located in Indianapolis. Contact Lindsay Clark at 317 627-2001. M35 Cargo Cover. Vinyl, camouflage pattern cover with attached end curtains. $650. 24 volt Siren. Federal mfd mechanical siren. $350. Cammo Net. Medium-sized camouflage netting with poles. $400. Located in Greenfield. Contact Dave Burton at 317 997-9870 or burton449 at yahoo.com. M416 Trailer. Good condition, late style tail lights, ball hitch, lunette ring included. Asking $700 - located in Seymour. 1942 2½-ton CCKW Truck. Older ground up restoration, no rust, good paint, new tires. $15,000. 1943 Ford 1½-ton C.T.B. Burma Jeep. Ground up restoration, no rust, good paint, new tires, now powered by 4.3 GMC, spare parts. 2 engines, 226ci Ford, and 4-speed transmission. $9000. 1953 GMC 2½-ton M135 Truck. Older restoration, good tires & paint, no rust. Powered by 8.2 Detroit with a 5-speed transmission. $5000. 1953 2½-ton M211 Truck. Needs restoration. $1500. M815 5-ton Truck. Long wheel base 6x6, 250 Cummins engine, 5-speed transmission. $3500. 10KW Onan Diesel Generator. Works good. $1500. Home-built Tandem Axle Trailer. 18’ long. $1500. CJ-7 Parts. 3-speed transmission & transfer case. 2 brand new front fenders. $300. M35 Engine. Non-turbo charged long block multi-fuel engine for M35. $400. Bows. For truck beds, several. $100. All have Indiana titles. Located in Commiskey. HMMWV Parts. M998 A2 airlift bumper larger body bracket pairs, NOS-$225. M998 airlift bumper larger body bracket pairs NOS,-$200. M998 windshield washer tank with pump & decal, NOS-$100. M998 west coast mirror head, used-$30ea (have both sides). M998 green plastic cluster for gauges, NOS $35. M998 C pillar for soft top, NOS $350. M998 4 man soft top side rail pair, NOS-$350. M998 4 man midgate partition with side brackets, NOS-$450. M998 A2 Dual voltage 200 amp alternator generator with overrunning clutch, used, tested working-$450. M998 Steering column modification work order MWO kit, NOS-$25. Front desert tan plastic LED pair with buckets, NOS-$150. Have several other M998 parts. Can bring big bulky items to club meeting. Call and leave message. Text works best. Contact Mark Rozak at 937 572-4203. M51 Transmission. Takeout 5-speed transmission from M51 5-ton truck. Less than 10K miles. Shipping container included. $500 - located in Wabash. Contact Vern Nation at 765 985-9200. M151 Parts. A truck load of small 151 parts! Just contact me if you need something. I have several seat tops and bottoms, gauges, a set of waffle radios, and 1 antenna. I will ship on your dime and pickup is OK too. Located in Madison. Contact Herman Stephens at hspap at frontier.com. 1953 M43 Ambulance. Runs & drives good. Brakes gone through. Litter racks intact. Good candidate for restoration or a camper. $2700 - located in Gas City. Contact Bill Eakins at 765 674-5663. 1968 M105 Trailer. Johnson Corp., 1 1/2 ton. Fully restored-blasted, primed, & painted semi-gloss OD, lettered. Like new canvas & side boards. Garage kept. $1200 - located in Muncie. Contact Sam Norris at 765 289-9074. 1952 M211. GMC, 2 1/2 ton. Gas engine, automatic transmission - last ran 3 years ago. Solid body, needs sandblast and paint. $2500 - located in Sellersburg. Contact Marcus Babbs at 812 246-6411. Truck Hood. Fits 5-ton series multi-fuel trucks, NOS in crate. $250 - located in Sheridan. What are you looking for? Drop us a line and we will post your quest. GPW Engine. Looking for an L-head engine, preferrably for the GPW. Needs to be in rebuildable condition. Contact Sam Crowe at sbc304 at hotmail.com. M37 Wheel. Looking for a serviceable 9.00x16 wheel and tire assembly for the M37. Contact Sam Crowe at sbc304 at hotmail.com. CCKW Trunnion Shaft. Looking for a rear Trunnion Shaft for the Banjo axle. Contact Dan Bever at b17goinmyway at yahoo.com. M332 Ammo Trailer Tarp. Canvas preferred but vinyl would work. Contact Paul Gummere at ugummere at indy.rr.com. M817 Dump Truck. Looking for an M817 dump truck in reasonably good condition. Truck must be able to work. Contact Paul Gummere at ugummere at indy.rr.com. Willys MB Seats. WTB-Original Willys MB front seats. Contact Jim Mulligan at 317 716-4414. Half-Track Parts. Looking for WWII half-track parts, large and small. Especially the font roller, radiator & radiator armor, and windshield armor. Contact Jim Osborne (Indiana Military Museum) at 812 890-0210. Artillery Parts. Looking for WWI & WWII artillery parts, what have you. Contact Jim Osborne (Indiana Military Museum) at 812 890-0210. 3" Gun or Caison Wheels. Looking for wooden wheels to fit WWI 3" gun or caisson. Contact Jim Osborne (Indiana Military Museum) at 812 890-0210. Spot something locally, know of a HMV or parts for sale, or see an ad in the paper or on Craigslist? Send a spot report. Please keep it to local finds. Please include a description of the item, where it is located, and a contact (if known). Photos may be accepted. 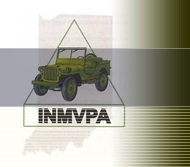 Any IMVPA member may submit Military Vehicle/Militaria related ads to post. They will post here and an abbreviated version will be posted in the quarterly newsletter. To submit an ad, please use the Contact Us page. We will run the ad for six months on the website and two newsletter issues. Ads can be renewed, space permitting. Finds will be posted here for 30 days but will not be posted in the newsletter. They can be resubmitted if item is still available. We will not post auction ads.